The U.S. Citizenship and Immigration Services (USCIS) administers a test to all immigrants applying for citizenship. 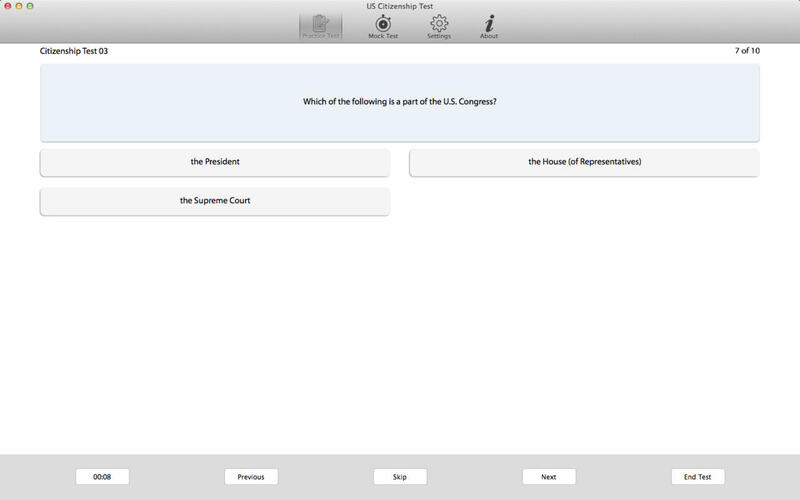 This app contains all the questions you will be asked in the citizenship test. 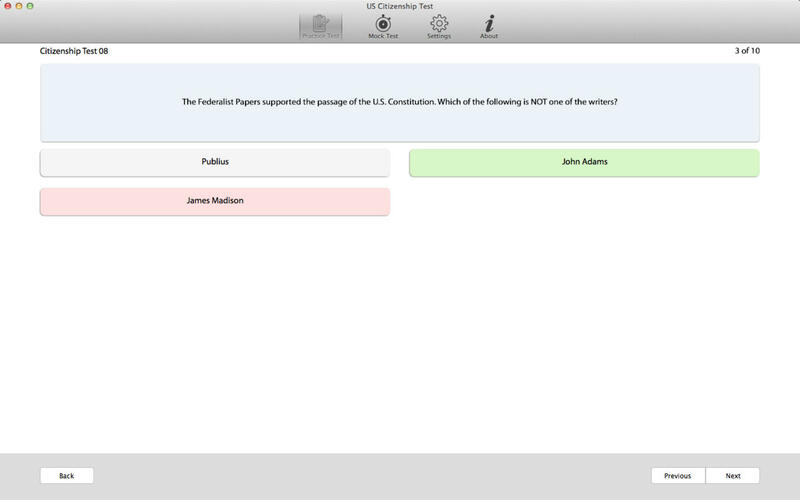 The slick user interface allows you to choose from possible answers. 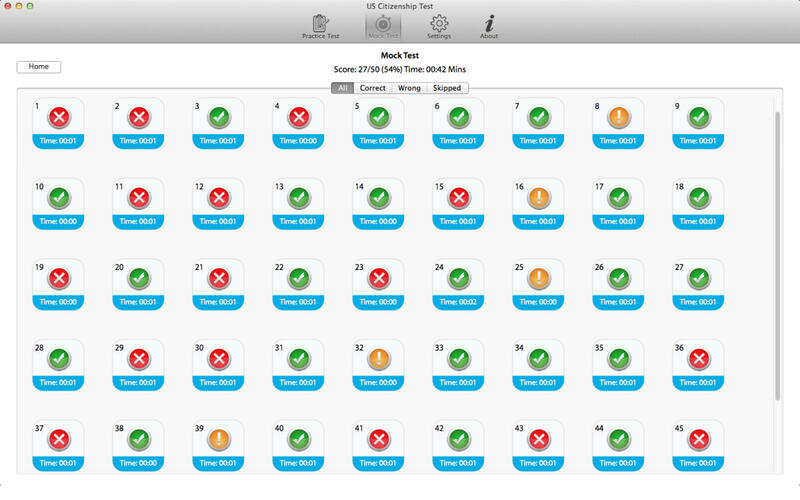 You can mail test results to yourself. *Displays Citizenship rights and other useful info. *E-mail yourself the test results. *View an answer during test, if desired.